Fitch not likely to downgrade SA's rating anytime soon - SABC News - Breaking news, special reports, world, business, sport coverage of all South African current events. Africa's news leader. Economists say a stable outlook means that any further downgrades by the agency are not likely in the short-term. Economists say rating agency Fitch is not likely to downgrade South Africa’s rating anytime soon. 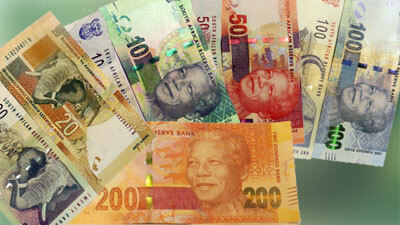 Fitch has affirmed South Africa’s rating at double-B-plus with a stable outlook. According to economists, a stable outlook means that any further downgrades by the agency are not likely in the short-term. The agency cited government’s stimulus package, the reprioritisation of expenditure and the finalisation of the mining charter as some of the government’s positive actions. The agency also highlighted some areas of concern. “There’s unlikely to be further credit downgrades by Fitch in the short-term. They would tend to downgrade the outlook to negative prior to downgrading the debt rating further into junk status. So, they still have some concerns, the low growth environment, government sizable debt and contingent liabilities. They also cite the risk of rising social tensions to extremely high inequality as a major concern,” says Economist at Econometrix Laura Campbell. This entry was posted on 06 Dec 2018,08:45PM at 8:45 PM and is filed under Business. You can follow any responses to this entry through the RSS 2.0 feed. Both comments and pings are currently closed.